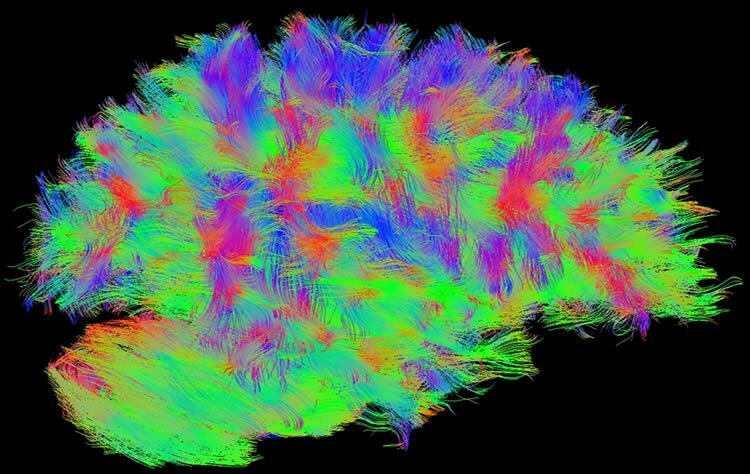 Summary: Researchers have secured NIH funding for the development of a new neuroimaging system. Ibrahim and his team of bioengineering graduate students constructed and optimized the “Tic-Tac-Toe” RF coil system for 7T human MRI devices. This system is a collection of transmit antennas and receive antennas that are tightly arranged to fit the human head. It was designed through many hours of computer simulations using full wave electromagnetic software developed in his lab. 7T diffusion fiber tracking. NeuroscienceNews.com image is adapted from the University of Pittsburgh news release. Image Source: NeuroscienceNews.com image is adapted from the University of Pittsburgh news release. University of Pittsburgh “‘Tic-Tac-Toe’ Themed MRI Easy Win For Neurological Disease Research.” NeuroscienceNews. NeuroscienceNews, 14 April 2018. University of Pittsburgh “‘Tic-Tac-Toe’ Themed MRI Easy Win For Neurological Disease Research.” http://neurosciencenews.com/tic-tac-toe-mri-8787/ (accessed April 14, 2018). Feel free to share this University of Pittsburgh.